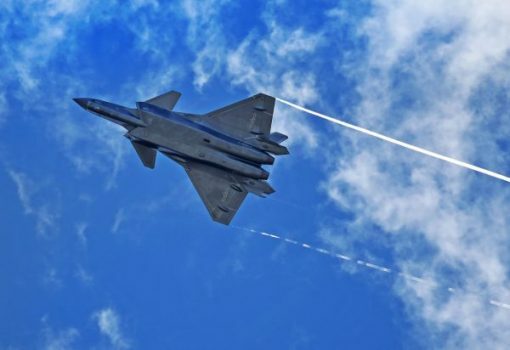 China has introduced for the first time their new invisible combat to the Chengdu J-20, a fighter of fifth generation which is expected to be operational in the coming months and with the Beijing aims to reduce the technological gap that separates its military aviation of the US. His coming-out has taken place Tuesday at the opening of the Aviation Fair of Zuhai in southern China, where two pilots in command of these devices had overflown the area for 60 seconds before the view of authorities, entrepreneurs of the sector and dozens of spectators who had come to the site that hosts the exhibition. Beijing often uses this biennial exhibition to present its latest advances in civil and military aerospace industry, as when in 2014 presented right there fighter Shenyang J-31. The J-20 is a single-seat fighter jet stealth long distance which flew for the first time in 2011, but that is not had shown to the public until today. Called to be the response of the communist country to US F-22 Raptor that soon to be deployed by the Pacific, analysts say it is still too early to know how much the new Chinese ingenuity can match the properties of evading radar that has the United States, the model that most closely matches by the F-35. Both the J-20 and J-31, which is a little smaller, are regarded as two major steps in the race to convert the Chinese Air Force of the People’s Liberation Army into a powerful force in the skies of the Pacific, where It maintains various territorial disputes with neighboring countries, many of which have US backing. “The J-20 has been developed to meet the needs of the future in the field of battle”, said the spokesman of the Chinese air force, Colonel Shen Jinke, last week. “This aircraft will further enhance the overall combat capability of the Air Force, which will help the sacred mission of the army to maintain the national sovereignty, security and territorial integrity”. Several of those attending the demonstration today praised the new device. “It’s clearly a big step forward for Chinese combat capabilities”, said Bradley Perret, Aviation Week. For its part, a Western official who has been attending the fair for 20 years told Reuters that “this is the aircraft for China that the J-31 did not become; it is the only developed entirely by themselves”. However, at least one of the generals of the US Air Force has not been so impressed with the new model. “When I hear of the F-35 against the J-20, is an almost irrelevant comparison is almost irrelevant compared” stated in August the General David Goldfein. In his view, the integration of the F-35 with weapons and other US systems gives technological advantage, and said the Chinese plane uses a similar technology to the F-117A, that the U.S. Army began to use in the 80 but that left a long time ago. Chinese President Xi Jinping, takes time pushing for the country to equip itself with a more powerful army to support the firmness of their positions in the region, particularly in disputes held in the South China Sea and the Sea of East China. Since a year ago, the country is immersed in a huge restructuring of its Armed Forces, a process with which, according to some analysts, the authorities want to empower the Navy and the Air Force to the detriment of the Army. Along with the J-20, at the exhibition inaugurated today will be exhibited other fighter aircraft, such as the bomber H-6K, the fighter J-10B and the early warning aircraft and control KJ-500, plus the largest amphibious aircraft will be on display now in production, the AG600. Although officially promoted as an aircraft for firefighting or search and rescue, it has also been targeted which is very suitable for refueling military positions like those that Beijing maintains in the disputed waters of the South China Sea. The fair, also known as Airshow China, has become over the years one of the most important events in the industry, with exhibitors from various countries, but always serves to see the latest and expected progress made by China. Indeed, this country is destined to become the largest aviation market in the next decade, a position that will occupy the ousting the United States.